NEW DELHI: The results of the Gujarat and Himachal Pradesh assembly polls are likely to set the course of the Winter Session of Parliament beginning tomorrow, with both treasury and opposition benches hoping for a positive outcome before they lock horns in the two Houses. 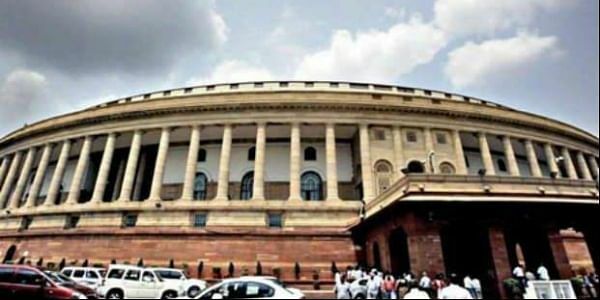 The first day is likely to see no transaction of business at least in the Lok Sabha which is likely to adjourn till Monday after paying tributes to sitting members who passed away in the inter-session period. After the weekend break, the two Houses will meet again on Monday when the poll results will be announced. The government is expected to table 25 pending bills and 14 new ones, including a bill providing Muslim women the right to seek maintenance in case of triple talaq, during the session. Delayed by almost a month due to the polls, this session will have fewer sittings than the usual- it has 14 work days compared to 21 in the last winter session- but the government is hopeful of pushing its legislative agenda in the short time. Economy, agriculture distress, GST rollout and alleged misuse of enforcement agencies are some of the issues the opposition will rake up to attack the government. However, it is the poll results which will have a serious bearing on the session. The Gujarat poll results are keenly awaited as both the ruling BJP and the Congress have run a long and intensive campaign with their star campaigners, Prime Minister Narendra Modi and Rahul Gandhi respectively, leading from the front. A respectable show by the Congress will energise opposition ranks and embolden it in its fight against the BJP, which may be left dispirited by a poor show in Modi's and its chief Amit Shah's home turf. However, a favourable outcome for the BJP will blunt whatever strategy its rival may plan against it in Parliament and encourage the saffron party to turn the heat on the Congress and other Opposition parties. Opposition members, who outnumber the BJP-led NDA alliance in the Rajya Sabha, may also find the going harder for them in the Upper House as its Chairman M Venkaiah Naidu has made his displeasure clear with raucous protests it often witnesses. He had recently pitched for "automatic suspension" of members who rush to the well of the House to disrupt proceedings and said their names should be put in the public domain.